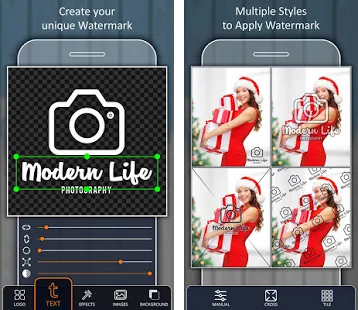 Watermark your photos, right from your phone. Create and Apply Fully customizable watermarks (We aren’t kidding). Watermark your content to Protect from unauthorized use (Copyright) OR Apply digital signature to create your Brand. Save your watermarks as templates. Choose from preset templates or use your own logo. Watermark hundreds of files at once. Preview Photos before applying Watermarks, Change Patern, position style on individual photos before processing in batch. Choose one of our pre-built pattern to quickly add style to your watermark. For ultimate protection, your custom watermarks can be crossed with your watermark in the middle. Digitally sign your pictures and create your own brand.